Food For Thought Outreach recently announced the latest phase of expansion in their operations with the addition of a warehouse in DeFuniak Springs. This center will serve as a pantry, distribution center, and will help facilitate growth into new schools in the future. The space is currently under renovation and will mark the third location for Food For Thought, adding to their Pantry location in Santa Rosa Beach and also in Destin, when it opens for services in December 2018. As the 2017-2018 school year kicked off, the local nonprofit enrollment grew to 2,500 students from 1,700 during the previous year. Food For Thought will close the school year with 2,900 students across 31 schools in Okaloosa and Walton counties receiving weekly services. With this level of expansion, Food For Thought needs an additional location with even more space to hold deliveries and receive large palettes of food items. “We are ordering more of each individual food item than any local grocery store,” said Tiffanie Nelson, Founder & Executive Director of Food For Thought Outreach. “This new facility will allow us to continue to grow, continue to feed more children and families, and work toward breaking the cycle of food insecurity in our communities. Ryan Harp Construction has taken the lead on the DeFuniak Warehouse Renovation project working with Waste Management, Walton County Sheriff’s Office, and long-time Food For Thought donors and community partners to secure necessary items and services like new insulation, replacing the garage door and hardware, fire alarms, and labor for demolition and clean up. Another generous donation – the organization does not have to pay rent. The owners of this newest location have been kind enough to donate the use of the warehouse. All donations raised (monetary and in-kind services) will be directed solely toward renovations and completing the project by the end of the year. That’s just the beginning for the building renovation, and Food For Thought Outreach is excited and honored to announce the continued partnership with The Seaside Style as the organization accepts a $25,000 donation to be used for the installation of air-conditioning and electrical work in the space. 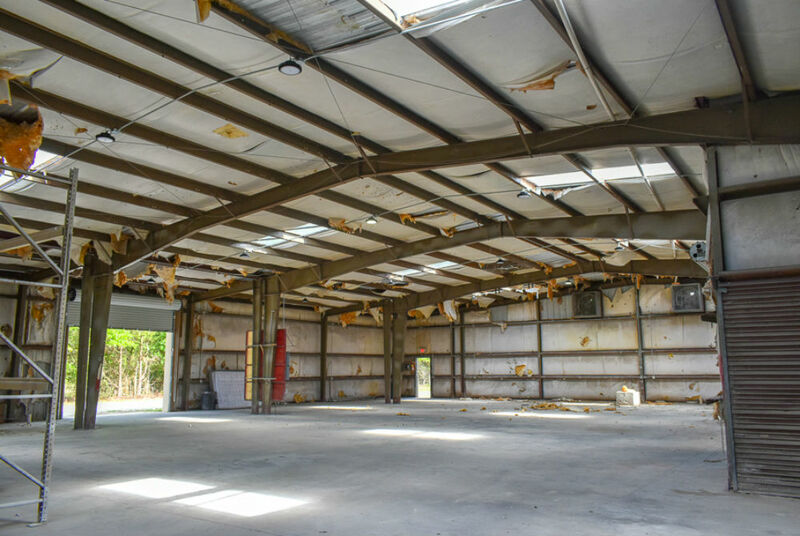 As the project continues, Food For Thought and their dedicated team from Ryan Harp Construction will be looking for commercial grade shelving units, roofing repair, plumbing services, and more. One easy way to learn how you can help – attend their upcoming reception at the new warehouse and distribution center on Friday, May 11, from 4:30-6:30pm at 2132 US Hwy 90 W. While the nonprofit is in the early stages of this renovation, they are opening the doors to the community and asking you to be a part of their work fighting child hunger in Walton county and beyond. For more info, or to donate time, funds, or services, visit Food For Thought Outreach. The post Food For Thought Receives Generous Donation from Seaside Style appeared first on 30A.